Arrow's midseason premiere was full of comic book goodness. Contains spoilers from Arrow Season 7, Episode 10. Arrow returned to The CW this week for its midseason premiere. 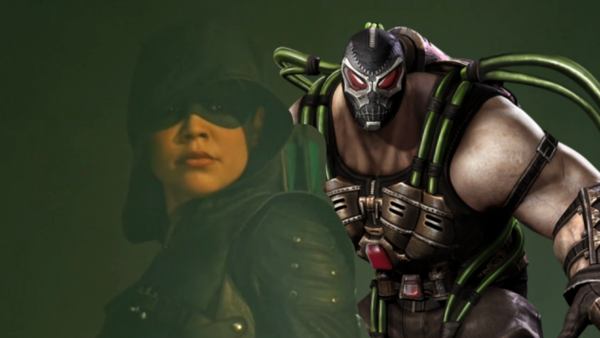 The episode, 'My Name Is Emiko Queen' was rather insightful as it was effectively a character study on Star City's newest vigilante, the new Green Arrow herself, Emiko Queen. As a midseason premiere, the episode was a strong outing that chose to steer clear of any major developments so that it could slow things down and give us some much-needed insight into the show's newest character. Furthermore, it also teased us with the possibility of a Queen family showdown, the return of our favourite anti-heroes and a grim future for Star City. However, they weren't the only gifts that 'My Name Is Emiko Queen' provided us with. From subtle nods to major Easter Eggs, the midseason premiere was full of little references that may have been overlooked in the midst of all the game-changing revelations. With that in mind, let's take a look at some of the small things you may have missed from Arrow Season 7's midseason premiere. Contains spoilers.